The winning ticket in New Hampshire was sold at Reeds Ferry Market in Merrimack, a city of 25,000, state lottery officials said. The identity of the winner was not immediately revealed. Washington, United States: Some lucky person in New Hampshire has won $560 million in a Powerball lottery, officials said Sunday, just two days after someone in Florida won a cool $450 million, helping push the weekend's total past $1 billion, apparently for the first time in US history. The $560 million prize, the sixth-largest Powerball jackpot ever, came a year and a half after another New Hampshire player cashed in a $487 million Powerball ticket. The winning Mega Millions ticket in Florida was purchased at a 7-Eleven convenience store in the small central town of Port Richey. The $450 million payout was the fourth-largest jackpot ever in that lottery. That winner was also not identified. Lottery officials in both states congratulated the winners but urged them to take proper precautions. 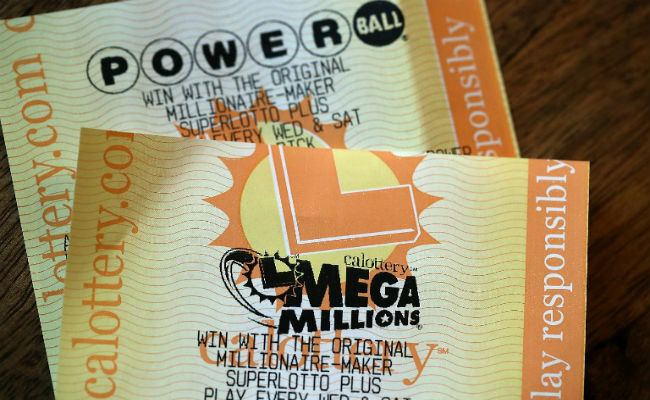 "Before the winner begins making plans to buy an expensive yacht or a mansion, I would encourage him or her to take a moment to process what winning the prize means," said Charlie McIntyre, executive director of the New Hampshire Lottery, in a statement Sunday. The winner, he said, should sign the winning ticket; talk to a lawyer and meet with a financial professional; and "think about what you want to do with the money" before actually claiming the prize. The New Hampshire winner has a full year to do so, and can choose between an instant cash payment of $358.5 million or yearly payments over 30 years for the full amount. The store that sold the winning ticket receives a $75,000 commission. The winner in Florida has 180 days to claim the prize, either as a one-time payment of $281.2 million or in 30 annual payments. The 7-Eleven store that sold the ticket wins $100,000.